INDUSTRY.co.id - Jakarta - Finance Minister Sri Mulyani Indrawati confirmed an increase in energy subsidy allocation in 2018 as a result of rising world oil prices which on average had exceeded assumptions in the state budget of 48 dollars per barrel. "We calculated yesterday with the Minister of Energy and Mineral Resources and the Minister of State-Owned Enterprises on the need for additional subsidies needed," said Sri Mulyani in Jakarta, Tuesday (6/3/2018). She said the increase in energy subsidy includes an additional subsidy for diesel for Pertamina which is estimated to increase from the current allocation of Rp500 per liter. "The solar subsidy in the APBN Law is set at Rp500, it is seen from the situation today is not sufficient, we are calculating the approximate, the proposal we have received and will be reported to the DPR," she said. In addition, the increase in energy subsidies is also related to the adjustment of coal prices in the domestic market (DMO) for fuel power plants managed by PLN. Related to this, Sri Mulyani ensures the government has calculated all potential tax revenue and Non-Tax State Revenue (PNBP) lost from the coal businessman. "Because it means that coal companies are required to sell from the same price as DMO, which means below market price, we have calculated it," she said. Sri Mulyani said the overall additional energy subsidy needed will be seen after through the semester report of the 2018 APBN implementation that will be submitted to the House of Representatives. However, he ensured that this subsidy increase would not disrupt Pertamina's or PLN's balance sheets and keep the budget deficit set in the APBN of 2.19 percent to GDP. 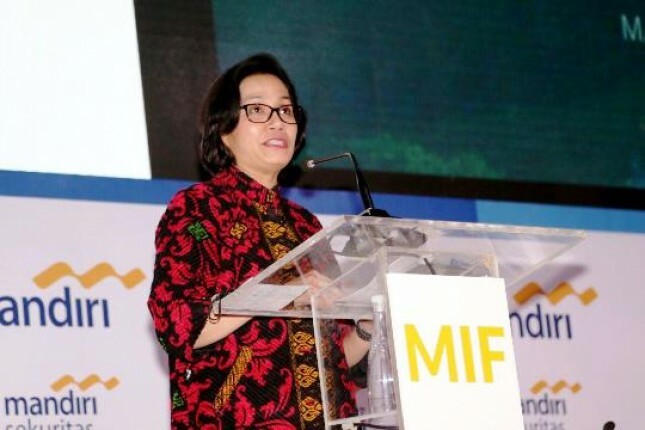 "We will do all of this policy in order to keep the macro 'policy' side remain credible and stable, fiscal is not erosion of confidence and remain healthy state budget," said Sri Mulyani. Current energy subsidies in the APBN 2018 set at Rp94, 53 trillion consisting of fuel subsidies amounting to Rp46, 9 trillion and electricity subsidies amounting to Rp47, 7 trillion. Based on the government's interim calculations, the increase in subsidies for diesel is projected to reach around Rp700 per liter-Rp1,000 per liter from the current Rp500 per liter. Meanwhile, world oil price per February 2018 reached an average of 61.61 US dollars per barrel, higher than the assumption of the State Budget of 48 US dollars per barrel.